According to the scheduled Apple will start its Back to School promotion this week, possiblity shown may be on Wednesday, but like all events of this year Apple has some also some twist on this event too. We have seen in the past year’s that Apple’s Back to School event offered discounts on their eductaion and plus they will give a free iPod with any purchase of new iMac. But this year according to the sources claim, Apple will not going to give any iPod free with new purchase of iMac, instead Apple will offer a $100 iTunes gift card. Usually Apple hosts the Back To School event three months before to their annaul music event, on which they traditionally launches new iPod. 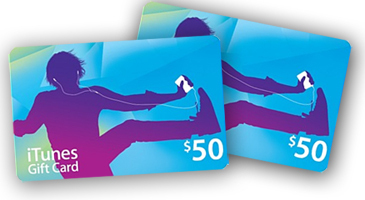 So according to the news, now user will not get free iPod with any purchase of iMac instead they will get a $100 iTunes gift card, which they can use on iTunes Store, App Store just like all iTunes card.